The first thing which comes to my mind when I hear Himalaya, is from the lap of nature. 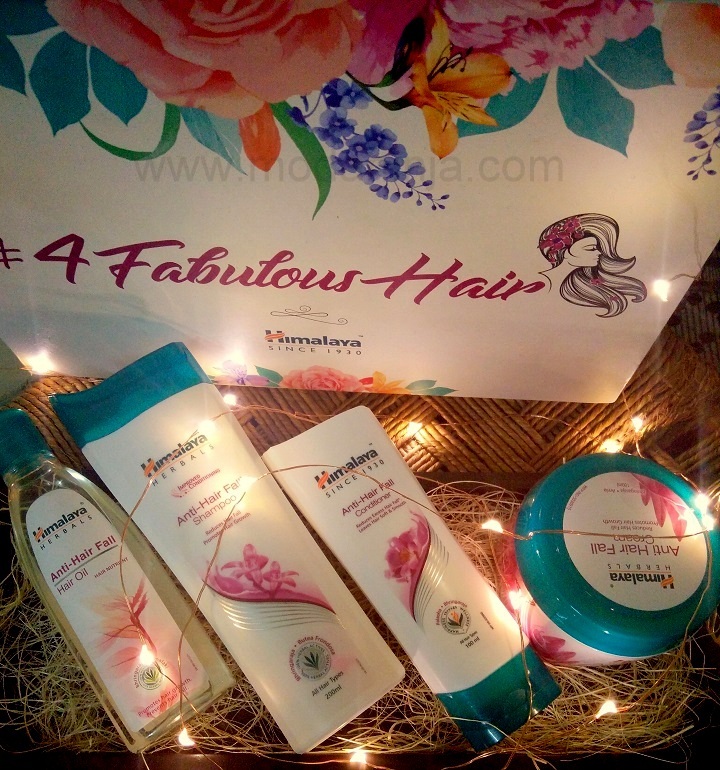 When Himalaya hair care sent me their ‘4 fabulous hair anti hair fall’ kit all I could think of was chemical free treatment for my hair. Let’s face it as a city girl, we make our hair go through hell with products, heat from styling, chemical treatment and air pollution. Come monsoon and hair fall increases. As the Himalaya anti hair fall range is Ayurvedic I decided to give the kit a try. 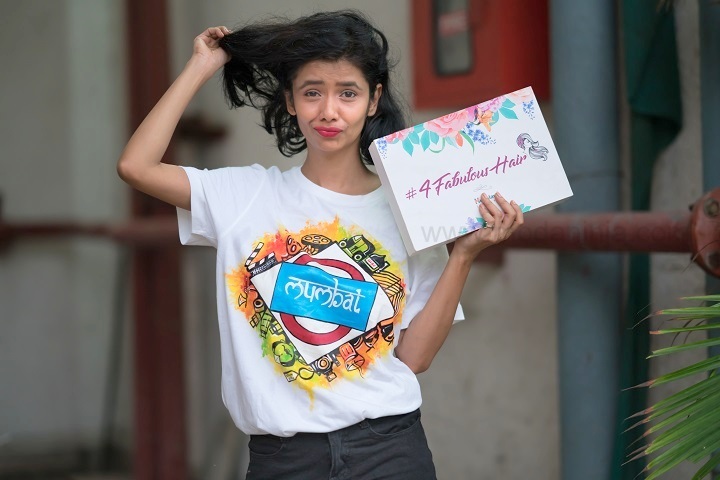 The Anti-Hair Fall Range consists of four products – hair oil, shampoo, conditioner and cream. These four products are simply the four step regime to follow – oil, shampoo, condition and leave in cream. The hair oil is enriched with bhringaraja and amalaki that helps strengthen the root shafts and prevent hair fall. It also has methi which is rich in lecithin and proteins that nourish the hair roots and Neem and Bilva which prevent scalp infections and keep hair healthy. The shampoo and conditioner includes bhringaraja, butea frondosa and chickpea that helps reduce hair fall due to breakage, and improves hair texture; leaving hair soft, silky and smooth. The Himalaya Anti Hair fall Cream is an herb daily-use product that has bhringaraja and amalaki for reducing hair fall and strengthening hair follicles. My normal hair care routine, I oil my hair once at least an hour before washing my hair. I get a headache if i keep oil overnight but if it works for you great. The oil is very light in texture and non-sticky and gets absorbed easily and is easy to wash off as well. The instructions safe to use a hot statement after oiling but I skip this step. Both the shampoo and conditioner are white in color. They have a floral scent and are very light weight. Shampoo foams and cleans the scalp well though I shampoo twice to make sure all the oil is washed away. After shampooing, I apply the Anti-Hair Fall Conditioner along the length of hair from base to tip and avoid the roots. The conditioner does moisturize the ends and give them enough hydration. I use a very tiny bit of the cream as a serum before using heat products. The cream helps tame frizziness and gives hair smooth finish. The Himalaya ‘4 fabulous hair anti hair spa’ kit does help with hair fall but it has been only 20 days since I have been using this religiously to see visible results in hair growth though I probably need to give this regime another month.